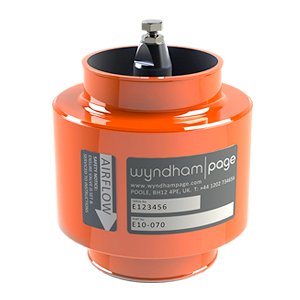 Wyndham Page air intake shutdown valves and spark arrestors - FS, FP, E, ET, EF, E-M.
A range of easily installed diesel engine air intake valves which automatically close on engine overspeed. A range of easily installed, compact, air intake valves for diesel engine emergency shut down. A safety device, preventing the risk of fire caused by the spread of sparks emitted from diesel engines. Operate independently of any external power or signal input to give automatic closure on engine overspeed. For enhanced safety can be supplied also fitted with a mechanical cable for a remote manually actuated shut down. 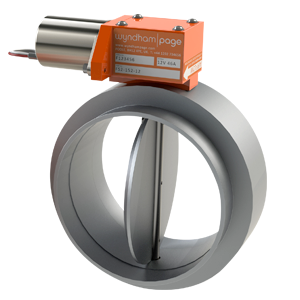 Smaller models in this valve range are optionally available combined with an engine air cleaner to facilitate installation. 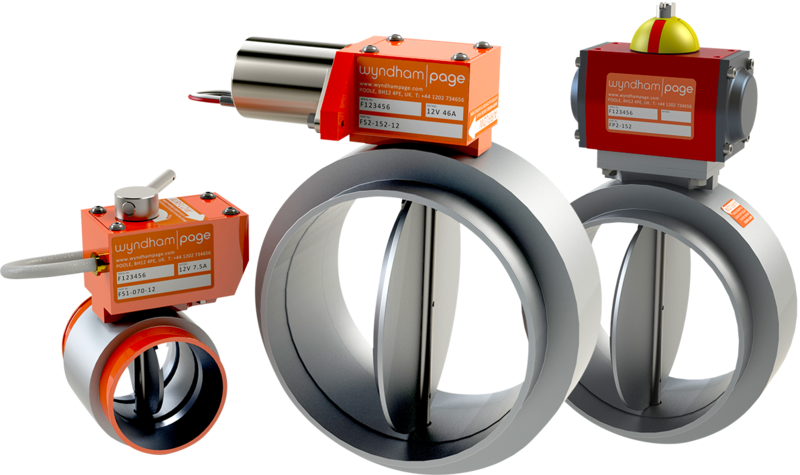 Butterfly type valves giving low air flow restriction for compatibility with emission controlled engines. 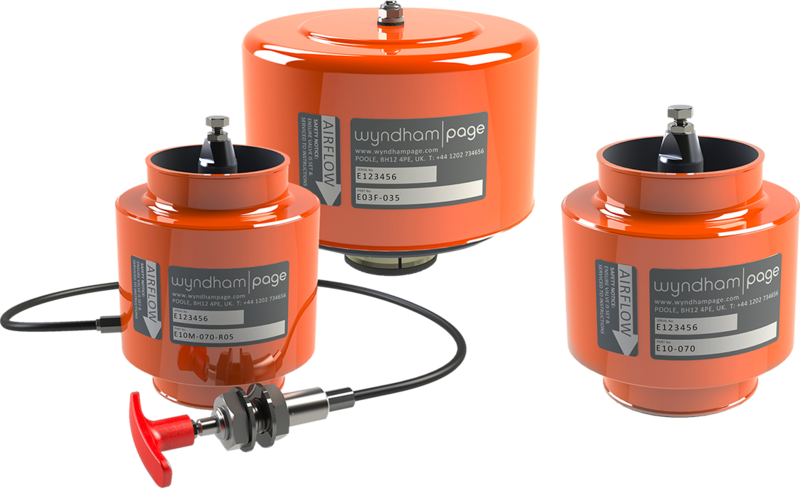 Mutliple actuation options available. A shutdown signal is required which can either come from either an electronic speedswitch (contact us for details) or from a fault condition provided from the engine management system. 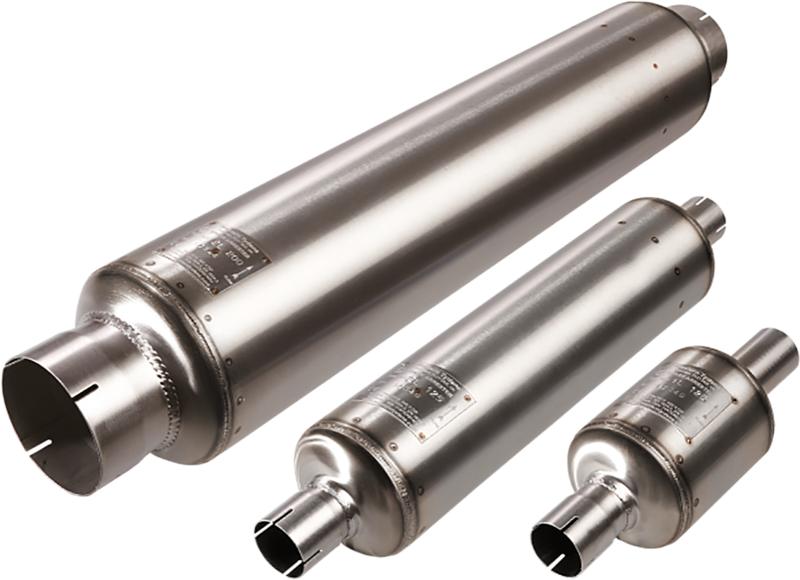 Diesel engine spark arrestors are designed specifically to reduce the risk of fire caused by the emission of sparks from the engine exhaust. 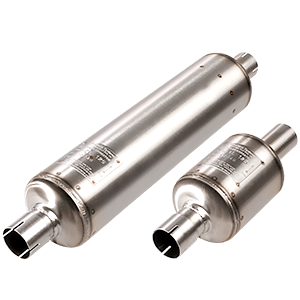 All diesels, including “clean” engines, create sparks due to the high particulate content of the exhaust gas as a result of the combustion process.